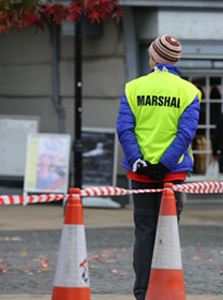 A huge task for the organising committee is finding sufficient marshals to ensure the safety of the runners throughout the course. We rely on the many individuals and groups to give up their Sunday and help supervise the course and cheer the runners on. As always the race organisers can always do with more assistance. To find out how to get involved please contact us using our Volunteer Form. No previous experience is required. In addition to a hot drink and food vouchers, all marshals are invited to attend the post race function as a ‘thank–you’ for their support. Your assistance will be greatly appreciated. If you and/or someone you know would be willing to help, please contact us via our Volunteer Form. 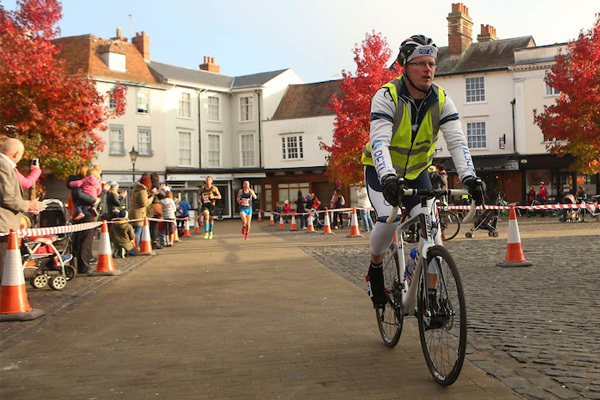 The organising committee rely on support from many people and organisations, friends, work colleagues, running pals and others who have offered or were willing to be press–ganged into helping us, either before or on the day, to ensure the continuation of the Abingdon Marathon. They have supported our marathon in many ways: with their time and effort; their skills; the use of their facilities; extra funding; and spot prizes. We would like to say thank all those individual volunteers and volunteer organisations, without whose assistance our marathon simply would not be possible.